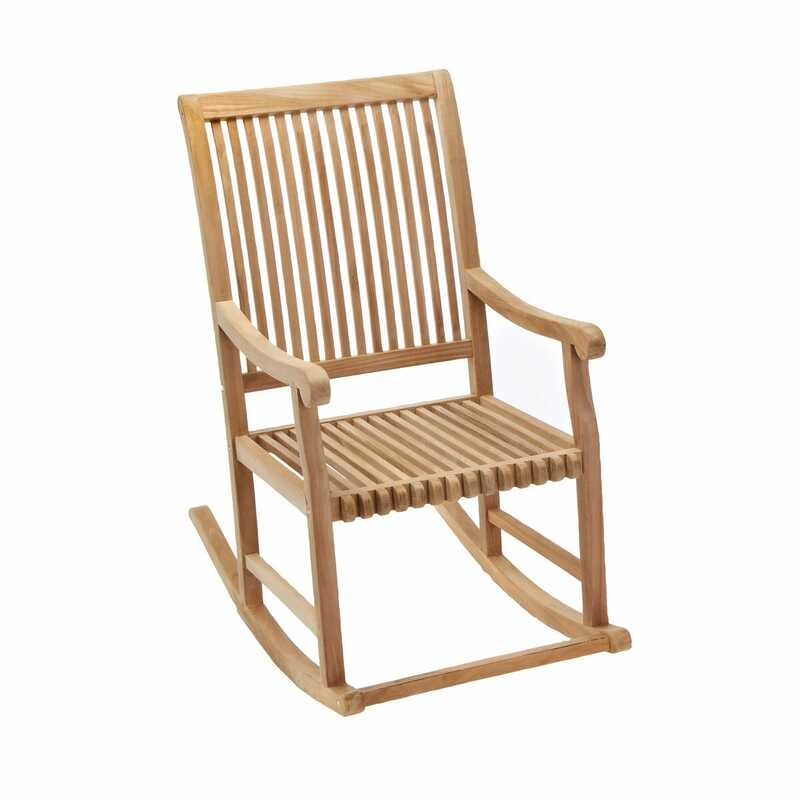 Relaxing in the comfort of a rocker on your front porch or deck is a calming pleasure. This classic chair is an easy sitting, easy gliding beauty. Made of natural, kiln-dried teak wood, it is sanded to an all-over smooth finish. It never needs maintenance, and will gracefully turn a silvery gray over time (or you can treat it to retain its honey color). Simple assembly; with a 300lb capacity. Seat is 21” l x 24”w. Overall, chair measures 25”l x 38 1/4”w x 43 3/4”h.